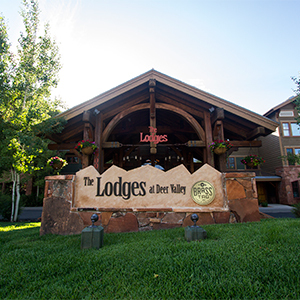 Deer Valley Resort provides the ideal convergence of natural beauty and acclaimed guest service in a variety of lodging properties. Our Group Sales team is dedicated to providing comprehensive services to bring together the ideal property, setting, activities and excitement that will make your event a success. Whatever your gathering may be, we are there every step of the way as your vision comes to life in this premier alpine setting. The Goldener Hirsch Inn has three different meeting areas to meet your every need. Condominium hotel featuring 140 sleeping rooms and 34,000 square feet of meeting space in seven rooms, ideal for up to 650 guests. Luxury hotel featuring 220 sleeping rooms and over 20,000 square feet of function space in 12 rooms, ideal for up to 400 guests. Luxury hotel featuring 181 sleeping rooms and 10,000 square feet of function space in nine rooms, ideal for up to 295 guests. Luxury hotel featuring 180 sleeping rooms and 26,384 square feet of function space in 12 rooms, ideal for up to 450 guests. Day lodge featuring 14,500 square feet of versatile function space in seven rooms on two levels to accommodate up to 400 guests. Day lodge featuring nearly 15,000 square feet of versatile function space in nine rooms on two levels to accommodate up to 450 guests. Day lodge featuring 7,335 square feet of function space in five rooms on two levels to accommodate up to 400 guests. Day lodge ready to accommodate 80 people seated, 100 for an indoor reception and 175 people in an outdoor reception area. Deer Valley Group Sales will provide you with the assistance needed to coordinate services and activities. 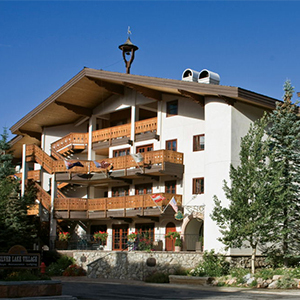 As one of the premier alpine resorts in the world, Deer Valley Resort is the perfect natural setting for your wedding, banquet or special event. Deer Valley's commitment to the finest in food quality and exceptional service has set the standard for dining in the ski industry. If you are in the midst of planning a spring or fall meeting, your company holiday party or a team retreat, you’ll love our attractive Mountain Meetings Package. Our group sales team is dedicated to providing comprehensive services to bring together the ideal setting for your next meeting or event. 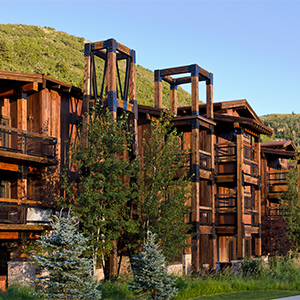 Watch the video and see what Deer Valley has to offer. The Park City Chamber of Commerce/Convention and Visitors Bureau hosted meeting planners for a party at Deer Valley Resort during The American Society of Association Executives Annual Meeting, held in Salt Lake City in August 2016.